The Challengers stage came to an end on Sunday, with G2, NiP and Cloud9 rounding off the final 3 of the 8 spots to move on to the legends stage. The 2-2 decider matches saw G2 beating Tyloo, NiP overcoming Vici and Cloud9 besting Winstrike. This signaled the end of the road for Asian teams for this major, who had an impressive showing, especially for Vici who were tipped to go 0 and 3. The first match saw NiP taking Train easily, without dropping a single round in the 2nd half on the CT side, winning 16-7. Inferno was a close contest but the heroics of Kaze ensured that Vici (beating NiP 16-13) would take it to the decider in Mirage. Rez impressed throughout with 58 kills in the series and despite a subdued performance in Mirage, the Swedes overcame the Asian threat, winning 16-10. The 2nd match saw Tyloo make an impressive comeback from 7-2 and 10-5 down to drop just 2 rounds on the CT half and win 16-12 on Mirage. Their lack of depth in map pool was exposed, however, as they were crushed 16-2 and 16-7 on Dust2 and Cache as the Frenchmen made an impressive comeback with its new roster. The final match saw Cloud9 thrashing Winstrike 16-7 on Nuke, with Timothy “autimatic” Ta having a KDR of 2.09. The 2nd map Overpass was a much closer affair, with the CIS team taking it to overtime by winning the last 3 rounds in a row, but after winning the opening OT round lost the next 4 to lose 19-16 and surrender the final spot to the NA side. 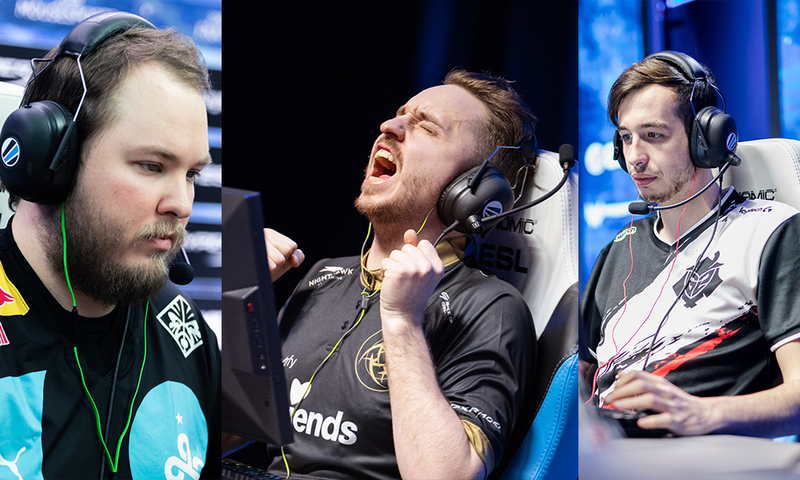 NiP, G2, and Cloud9 join NRG Esports, Renegades, ENCE Esports, Team Vitality, and AVANGAR in the next stage and will be joined by 8 returning Legends from the FACEIT Major last year, including Astralis, Natus Vincere, Team Liquid, FaZe Clan, BIG, HellRaisers, MIBR, and compLexity Gaming. The Legends stage commences on 20th February, with the top 8 from the 16 moving on to the Champions stage in a Swiss format with BO3 in the Decider matches.